Welcome to Darien! Move right into this spacious and bright cul-du-Sac 4 bedroom 3 full bath home a short distance from highly rated Tokeneke school. Open concept kitchen with large island, stainless steel appliances, Bosch Dishwasher, ceramic sink, with direct access to sliders for dining al fresco on new AZEK maintenance free decking. Great flow into large dining room perfect for entertaining. Hardwood floors throughout. Huge master bedroom with en-suite bath, skylights, vaulted ceilings and walk in closet. Two adjacent bedrooms with gorgeous renovated full bath. Separate 4th private bedroom on first floor with en-suite renovated bath, flows into family room with fireplace. Bonus rooms with multi use-office, gym, or playroom. Relax in sunroom or enjoy large sunny backyard with irrigation system. 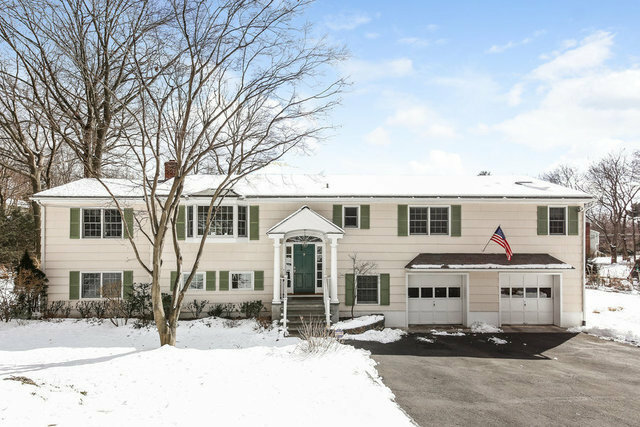 Minutes away from downtown Darien, shops, restaurants, Metro-North, I-95 and the seaside town of Rowayton!